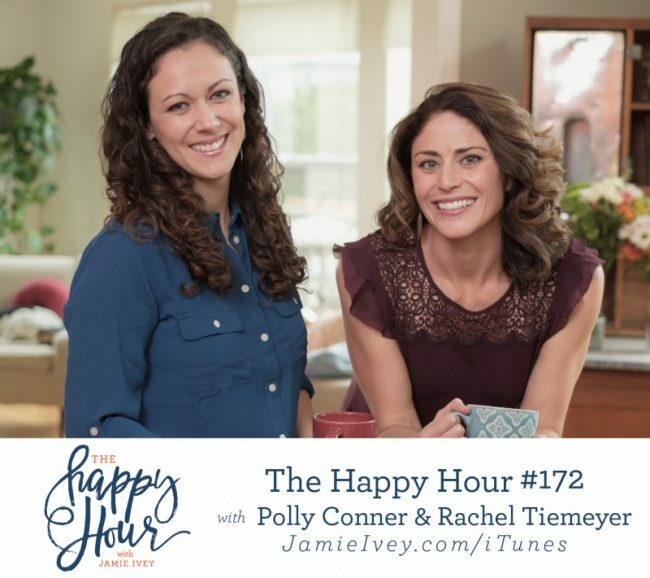 My guests for The Happy Hour #172 are Polly Conner and Rachel Tiemeyer from Thriving Home blog, where they write about parenting, recipes, and most importantly freezer cooking. They've just released their first cookbook, From Freezer to Table. After listening to our conversation, I just know you're going to be so inspired to go grab a copy and take a good swing at this freezer cooking movement. I was so intrigued with these ladies for a few reasons. First, they are women just like you and me chasing their dreams and making them happen. They have real lives, families and normal hurdles that we're all trying to navigate. Secondly, they are providing great recipes with whole foods that you will feel confident in serving your family. And lastly, freezer cooking - tell me more! In today's show, you'll hear all about freezer cooking - the myths, the advantages, and how to start a freezer club. At the end of our conversation, Polly and Rachel share about walking through suffering within their families and with their kids. If you are suffering or know someone that is, I think our conversation will be such an encouragement to you. 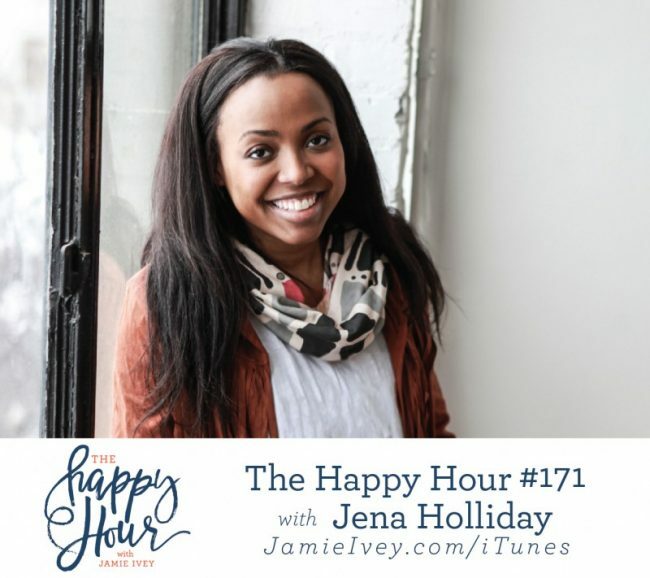 Jena Holliday is my guest for The Happy Hour #171. Jena is a full-time artist, wife and work-at-home mother who loves Jesus and storytelling. She has a heart for encouraging women and mothers to go after their God-given dreams in whatever season they are in. On today's show, Jena and I spend a little time reminiscing on mix tapes, nokia phones and AOL dial up. Jena shares about growing up in the church and walking away until God called her to Himself intimately and individually. We talk about creativity, staying in your lane, and embracing the gifts that God has uniquely given you. Jena is giving Happy Hour listeners a generous discount from her shop using the code JIVEY30. So, make sure to go poke around her shop to make your last minute Christmas purchases! 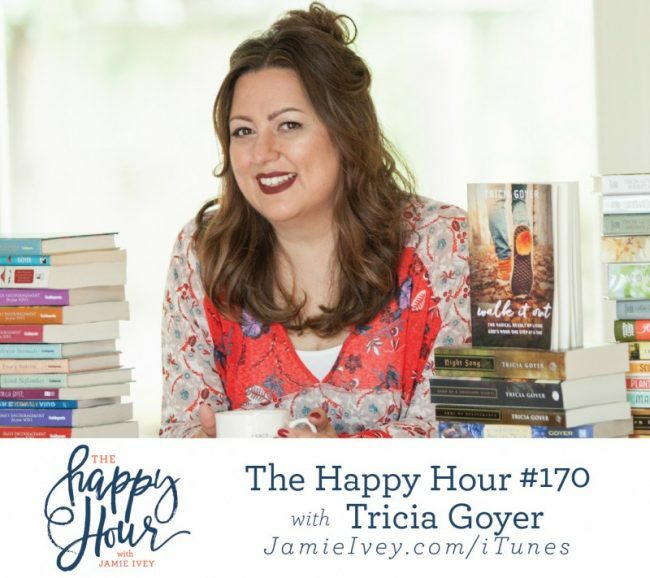 My guest for The Happy Hour #170 is Tricia Goyer. Tricia is a USA Today best-selling author of 70 books, a wife, mom of 10, and host of her podcast Walk It Out. Tricia lives near Little Rock, Arkansas where she leads a teen mom support group. Tricia and I cover just about everything today. We talk about abortion, teen pregnancy, how she had a 2-week-old baby on her first date with her husband (!!!! ), adoption, mothering 10 kids, writing an unbelievable amount of books, feeding 11 people every day and somehow managing all of it with a lot of grace. Finally, we talk about how easy it is to believe that our experiences and sin define us and disqualify us, but Tricia has been so faithful to use her experiences with abortion and teen pregnancy to now minister to other women in similar circumstances.